Melody has lived in Royal, Indiana, for as long as she can remember. It's been just her and her father, and she's been okay with that. But then she overhears him calling someone Honey -- and suddenly it feels like everyone in Royal has a secret. 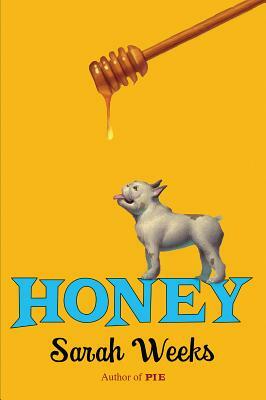 It's up to Melody and her best friend, Nick, to piece together the clues and discover why Honey is being hidden. Meanwhile, a dog named Mo is new to Royal. He doesn't remember much from when he was a puppy . . . but he keeps having dreams of a girl he is bound to meet someday. This girl, he's sure, will change everything. In HONEY, Sarah Weeks introduces two characters -- one a girl, one a dog-- who are reaching back further than their memories in order to figure out where they came from and where they're going. It's a total treat from beginning to end.